Hey fellas, this month we going to talk about oil industry. Well, We must be familliar with this kind of Industry, but do you know you who the first guy that invent this awesome masive industrial technology that still progresive even been hundreds year? Jan Józef Ignacy Łukasiewicz (Polish pronunciation: [wukaˈɕɛvʲitʂ]; 8 March 1822 – 7 January 1882) was a Polish pharmacist, engineer, businessman, inventor, and philanthropist. He was a pioneer who in 1856 built the world's first oil refinery. 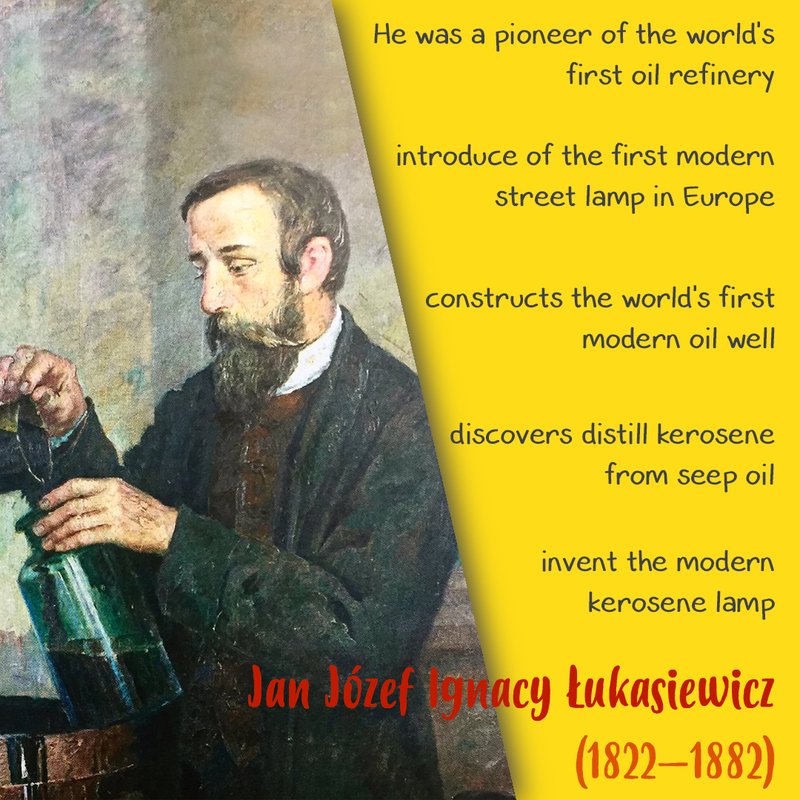 His achievements included the discovery of how to distill kerosene from seep oil, the invention of the modern kerosene lamp (1853), the introduction of the first modern street lamp in Europe (1853), and the construction of the world's first modern oil well (1854). Ignacy Łukasiewicz was born on 8 March 1822 in Zaduszniki, near Mielec, in the Austrian Empire (after the partition of Poland) as the youngest of five children. His family had Armenian origins and his parents were Apolonia, née Świetlik, and Józef Łukasiewicz, a member of the local intelligentsia nobility entitled to use Łada coat of arms and a veteran of Kościuszko's Uprising. They rented a small manor in Zaduszniki, but soon after Ignacy's birth the family was forced to relocate to nearby city of Rzeszów due to financial difficulties. There Ignacy entered the local secondary school (Konarski's Gymnasium), but failed to pass the exams and left in 1836. In order to help his parents and financially support all of the relatives, he moved to Łańcut, where he began work as a pharmacist's assistant in a chemist. Towards the end of his life Łukasiewicz often described his childhood as happy; the atmosphere at home was patriotic and somewhat democratic and he commonly recalled his first tutor, Colonel Woysym-Antoniewicz, who was also a resident in their house. On 15 August 1848 he was employed at one of the biggest and best pharmacies in Austrian Galicia (so-called "Austrian Poland"); the Golden Star (Pod Złotą Gwiazdą) Pharmacy in Lviv, owned by Piotr Mikolasch. In 1850, a handheld pharmaceutical almanac and a precious document entitled manuskrypt, the joint work of Mikolasch and Łukasiewicz was published. Because of this achievement, the authorities granted him a permit to continue pharmaceutical studies at the Royal Jagiellonian University in Kraków. After several years of studies, financed mostly by Mikolasch, he passed all his university examinations except for that in pharmacognosy, which prevented him from graduating. Finally on 30 July 1852 Łukasiewicz graduated from the pharmacy department at the University of Vienna, where he earned a master's degree in pharmaceutics. destroyed in an 1859 fire, but was rebuilt at Polanka, near Krosno, the following year. Oil refineries are typically large, sprawling industrial complexes with extensive piping running throughout, carrying streams of fluids between large chemical processing units, such as distillation columns. In many ways, oil refineries use much of the technology of, and can be thought of, as types of chemical plants. The crude oil feedstock has typically been processed by an oil production plant. In the 19th century, refineries in the U.S. processed crude oil primarily to recover the kerosene. There was no market for the more volatile fraction, including gasoline, which was considered waste and was often dumped directly into the nearest river. The invention of the automobile shifted the demand to gasoline and diesel, which remain the primary refined products today. Raw or unprocessed crude oil is not generally useful in industrial applications, although "light, sweet" (low viscosity, low sulfur) crude oil has been used directly as a burner fuel to produce steam for the propulsion of seagoing vessels. The lighter elements, however, form explosive vapors in the fuel tanks and are therefore hazardous, especially in warships. Instead, the hundreds of different hydrocarbon molecules in crude oil are separated in a refinery into components which can be used as fuels, lubricants, and as feedstocks in petrochemical processes that manufacture such products as plastics, detergents, solvents, elastomers and fibers such as nylon and polyesters. products are in great demand for use in internal combustion engines, a modern refinery will convert heavy hydrocarbons and lighter gaseous elements into these higher value products. 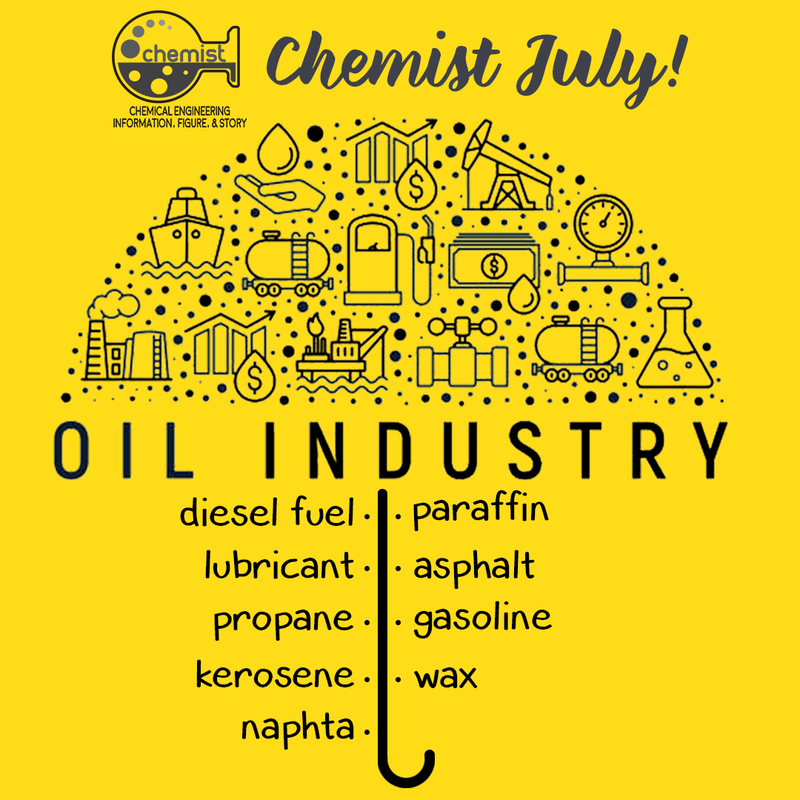 Oil can be used in a variety of ways because it contains hydrocarbons of varying molecular masses, forms and lengths such as paraffins, aromatics, naphthenes (or cycloalkanes), alkenes, dienes, and alkynes. 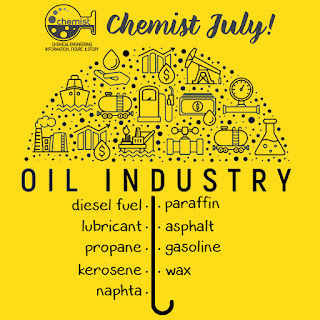 While the molecules in crude oil include different atoms such as sulfur and nitrogen, the hydrocarbons are the most common form of molecules, which are molecules of varying lengths and complexity made of hydrogen and carbon atoms, and a small number of oxygen atoms. The differences in the structure of these molecules account for their varying physical and chemical properties, and it is this variety that makes crude oil useful in a broad range of several applications. butylenes can be recombined to meet specific octane requirements by processes such as alkylation, or more commonly, dimerization. The octane grade of gasoline can also be improved by catalytic reforming, which involves removing hydrogen from hydrocarbons producing compounds with higher octane ratings such as aromatics. Intermediate products such as gasoils can even be reprocessed to break a heavy, long-chained oil into a lighter shortchained one, by various forms of cracking such as fluid catalytic cracking, thermal cracking, and hydrocracking. The final step in gasoline production is the blending of fuels with different octane ratings, vapor pressures, and other properties to meet product specifications. Another method for reprocessing and upgrading these intermediate products (residual oils) uses a devolatilization process to separate usable oil from the waste asphaltene material. Oil refineries are large scale plants, processing about a hundred thousand to several hundred thousand barrels of crude oil a day. Because of the high capacity, many of the units operate continuously, as opposed to processing in batches, at steady state or nearly steady state for months to years. The high capacity also makes process optimization and advanced process control very desirable. 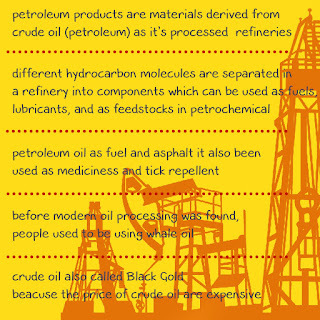 Petroleum products are materials derived from crude oil (petroleum) as it is processed in oil refineries. The majority of petroleum is converted to petroleum products, which includes several classes of fuels. Oil refineries also produce various intermediate products such as hydrogen, light hydrocarbons, reformate and pyrolysis gasoline. These are not usually transported but instead are blended or processed further on-site. Chemical plants are thus often adjacent to oil refineries or a number of further chemical processes are integrated into it. For example, light hydrocarbons are steam-cracked in an ethylene plant, and the produced ethylene is polymerized to produce polyethene. refinery process to take up the excess heat. products is used as "energy carriers", i.e. various grades of fuel oil and gasoline. These fuels include or can be blended to give gasoline, jet fuel, diesel fuel, heating oil, and heavier fuel oils. Heavier (less volatile) fractions can also be used to produce asphalt, tar, paraffin wax, lubricating and other heavy oils. Refineries also produce other chemicals, some of which are used in chemical processes to produce plastics and other useful materials. Since petroleum often contains a few percent sulfur-containing molecules, elemental sulfur is also often produced as a petroleum product. Carbon, in the form of petroleum coke, and hydrogen may also be produced as petroleum products. short term storage, and preparation for bulk loading to trucks, barges, product ships, and railcars. This classification is based on the way crude oil is distilled and separated into fractions. · Gaseous fuel such as Liquified petroleum gas and propane, stored and shipped in liquid form under pressure. · Lubricants (produces light machine oils, motor oils, and greases, adding viscosity stabilizers as required), usually shipped in bulk to an offsite packaging plant. · Paraffin wax, used in the packaging of frozen foods, among others. May be shipped in bulk to a site to prepare as packaged blocks. · Used for wax emulsions, construction board, matches, candles, rust protection, and vapor barriers. · Bulk tar shipping for offsite unit packaging for use in tar-and-gravel roofing. · Petroleum coke, used in specialty carbon products like electrodes or as solid fuel. · processing in a variety of ways. The petrochemicals may be olefins or their precursors, or various types of aromatic petrochemicals. In everyday life petroleum is such an important requirement such as gasoline, diesel fuel, lubricant, and kerosine. To be true, we cant run away from these kind of need. Its proven that if the price of oil increased, any other primer requirement would follow its trail. This could happen because the transportation cost which work as supplier tool needs oil for its fuel. 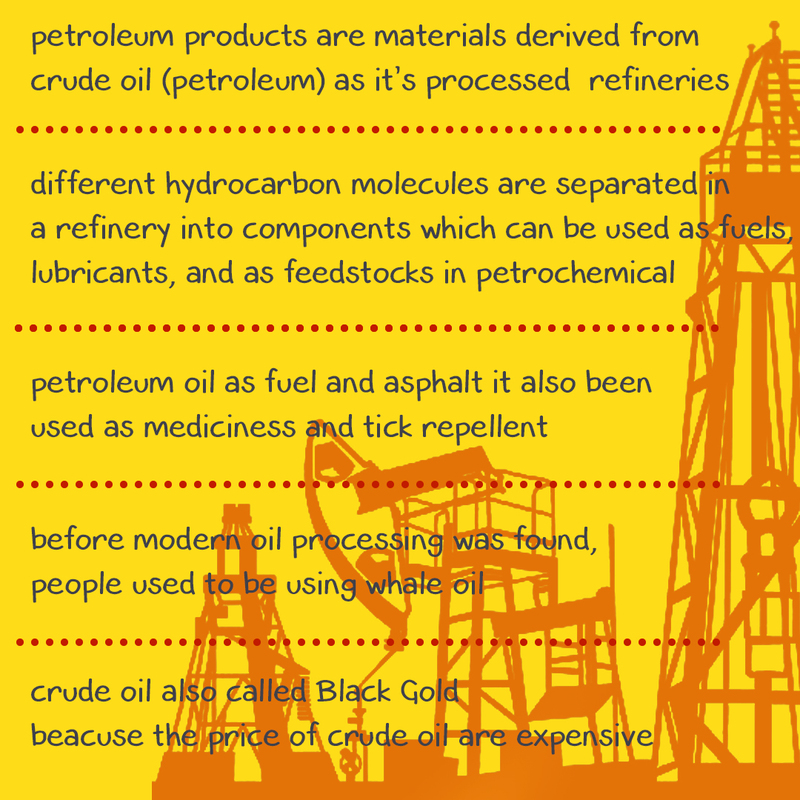 What exactly petroleum really is? We can know that petra means coral, and oleum means oil. Based on Indonesian Wikipedia History, lets see the history of petroleum. Since the ancient times, petroleum has been used as necessary commoditty in human life 4000 years ago. Diodorus Siculus and Herodus, was used it to built the wall and towers in Babylonia, the capital city of Mesipotamia. In arderica, nears baboylon, people found a lot of oil seepage across the edge of Issus River. Well, oil at that time wasn’t like today. Where oil out by itself seeps with water even history daid that it seeps between the rocks of former volcanic eruption. The condition in time is totally different by now that we should deep digging below the ground before reach the oil spot and ofcourse it needs such an expensive cost. Beside using petroleum oil as fuel and asphalt it also been used as mediciness and tick repellent. Some history sources said that medicine pills of persian was made by crude oil that distilled using chinese bamboo. Such incridible isn’t it? Crude oil, also known as Black Gold it called that way beacuse the price of crude oil are expensive. And now, did you know when was the first time crude oil proceed in a modern way? 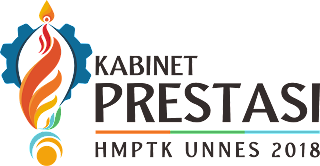 Referring of histtory record of Wikipedia encyclopedia Indonesia, in 1850’s modern crude oil processing was found by Ignacy Lukasiewicz,later his finding extends to modern oil processing and went progresive since then. Before moderen oil processing was found, people used to be using whale oil as fuel which actually more unefficient and expensive than petroleum oil. Since then, they moved on to petroleum oil as fuel. Meanwhile in 1853, in Poland, drilling of oil wells was done by modern people at the time with the discovery of a steam engine by James Watt. at that time established an institution called Corps of The Mining Engineering for the task of conducting petroleum research in a number of areas Indonesia. From the results of that research, found seepage of petroleum in Karawang, West Java in 1850.